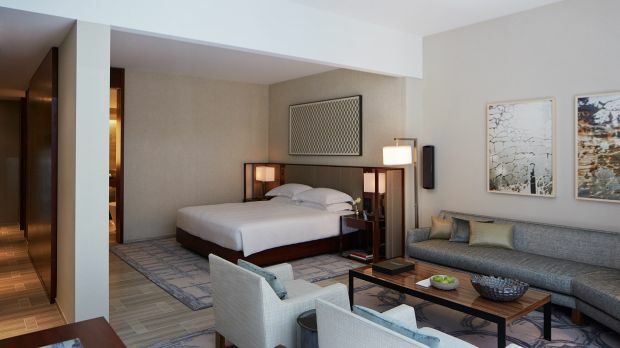 Located right at the heart of Midtown on West 57th Street, Park Hyatt New York is within easy reach of all of New York's airports as well as the Subway. Chic, elegant, and edgy, Park Hyatt New York blends into its West 57th Street surroundings seamlessly, yet stands out in just the right way. Its 118 guest rooms and 92 suites are generous in proportion and furnished with impressive style. Occupying 25 floors of a 90-story “mixed-use” tower, the bar overlooks Carnegie Hall, an exclusive soundtrack from the famed music site playing through the underwater speakers of Park Hyatt New York’s indoor pool. Of course, visits to the restaurant and full-service spa should also be placed high on one’s priority list… and then it will be time to hit the street. And what a wonderful street it is: located between Avenue of the Americas and Seventh Avenue, Central Park is just a short stroll away. Send an availability request with your requested dates to the Park Hyatt New York.